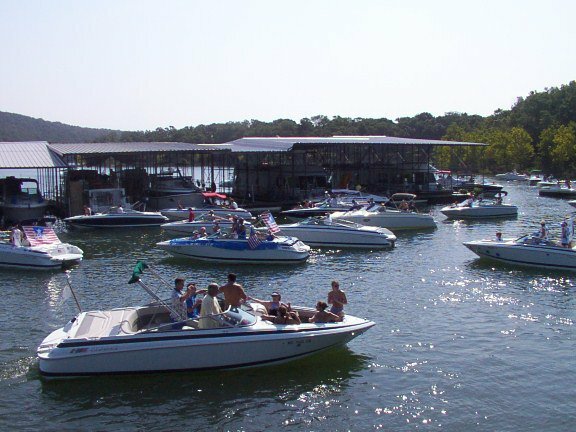 When Gene and Nancy Stimble bought Campbell Point Marina in 1995, the marina on Table Rock Lake in Shell Knob, Missouri, had already been serving boaters for more than 30 years. Over the past 20 years, through weather events that included two floods, an ice storm and, most recently, a tornado, the Stimbles have been making upgrades. Now, with an almost all-new marina, they are looking forward to the 2016 boating season. A tornado in 2014 lifted their Pier 6 houseboat dock and threw it across Pier 5. “The rest of the docks were back further in the cove; they got blown around a bit, but other than that we didn’t have any damage,” Gene Stimble said. MariCorps U.S. built and installed new docks for Piers 5 and 6, replacing the wooden docks with concrete floating docks. MariCorps reconfigured Pier 6 as well. Instead of slips on both sides of the walkway, the new dock has slips on the backside of the wall and a wave attenuator on the front. “The wall protects the slips so that they don’t get the wave action in the slips anymore,” Stimble said. The new slips are larger — 20 feet by 60 feet instead of the previous 18 feet by 56 feet — and the dock was expanded to make the wave wall more effective. MariCorps changed the layout of Pier 5 as well. Instead of 23 slips, all 15 feet by 34 feet, the new dock has 12 slips that are 14 by 36 feet and 12 slips that are 16 by 48 feet, plus two 22 by 80-foot slips. 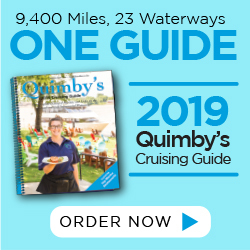 “One the front side of the 80-foot slips, I put four 10- by 36-foot slips, so that people who have runabouts with their houseboats can put them right across the water,” Stimble said. Last year, MariCorps built floating docks for the greatly expanded ships store. “We went from a single level store to a double-level store with a hip roof,” Stimble said. “The recreation on the lake has expanded so much, we needed more room.” The marina also had MariCorps replace its transient dock, which now includes 24 covered docks. Stimble said the marina has been completely rebuilt since 2008. “In that year, we had one walkway and one massive conglomeration of docks. That year we had a huge flood — the first major flood on this lake — and that set us back a little. In 2009, we had a major ice storm that collapsed a lot of our docks; many of them were old, wooden structures.